Final vote on Tacoma’s paid sick days ordinance tonight! 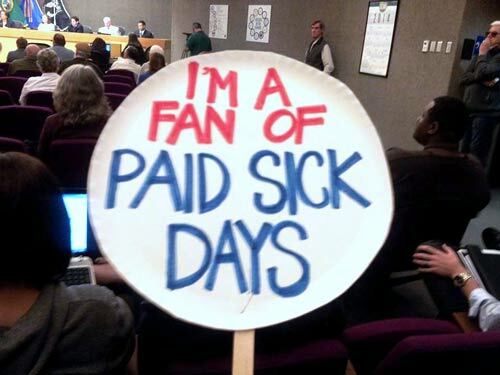 Tonight is the final vote on Tacoma’s paid sick days ordinance! The meeting starts at 4:30 p.m. (Tacoma Municipal Building, First Floor, 747 Market Street Tacoma, WA 98402). There’s nothing like a roomful of constituents to remind elected representatives exactly who they should be working – and voting – for. Come to meeting to show your support for a strong paid sick days ordinance that protects all of Tacoma’s workers!